Oh yum. I haven’t had these in like three years, and they were not anywhere near vegan or gluten-free then. Now with the Super Bowl right around the corner and receiving the most awesome gluten-free flour tortillas to use I knew I was going to be making these wraps! 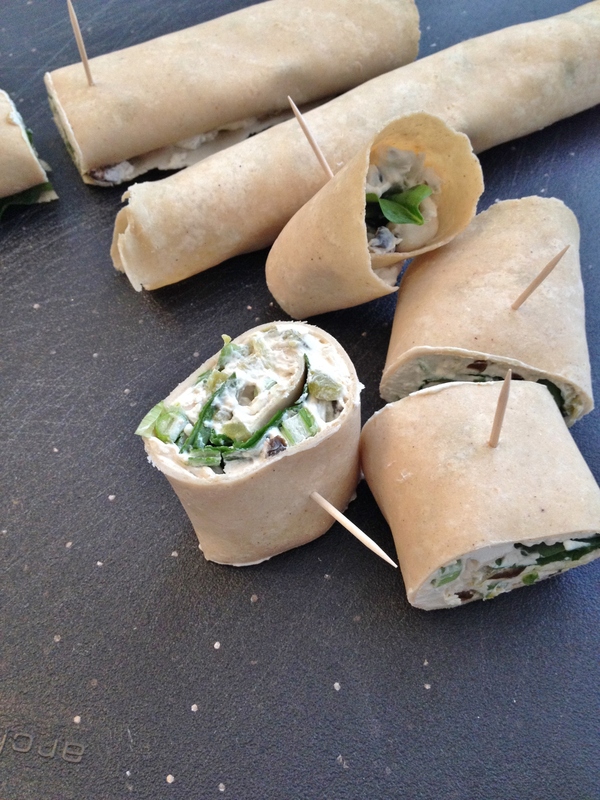 Think lightly-spicy and totally creamy mushiness wrapped in a soft tortilla. Sounds good right – I got you hooked with the word mushy, I know. 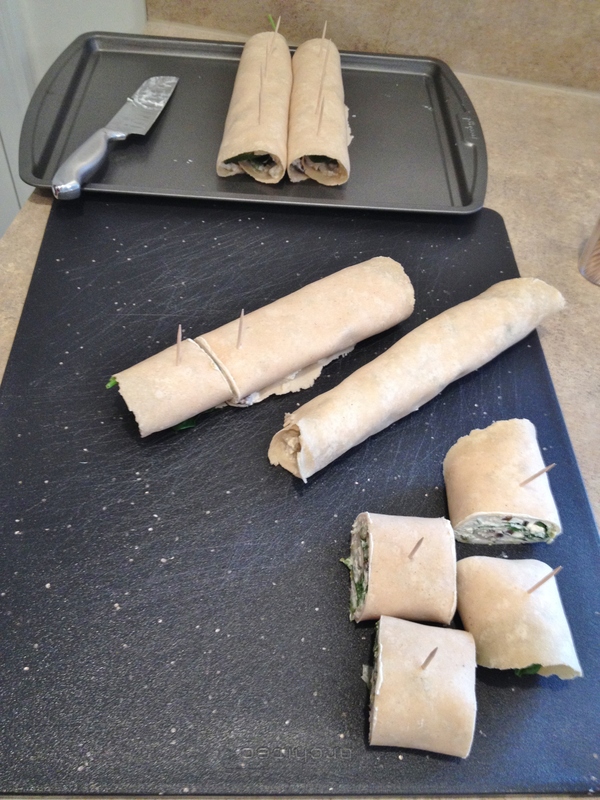 Here is the yummiest vegan and gluten-free Santa Fe Wraps ever. While watching the Super Bowl – and I use the term “watching” lightly, because I really only watch for the commercials and halftime show – snacks are super important. Meals? not so much. 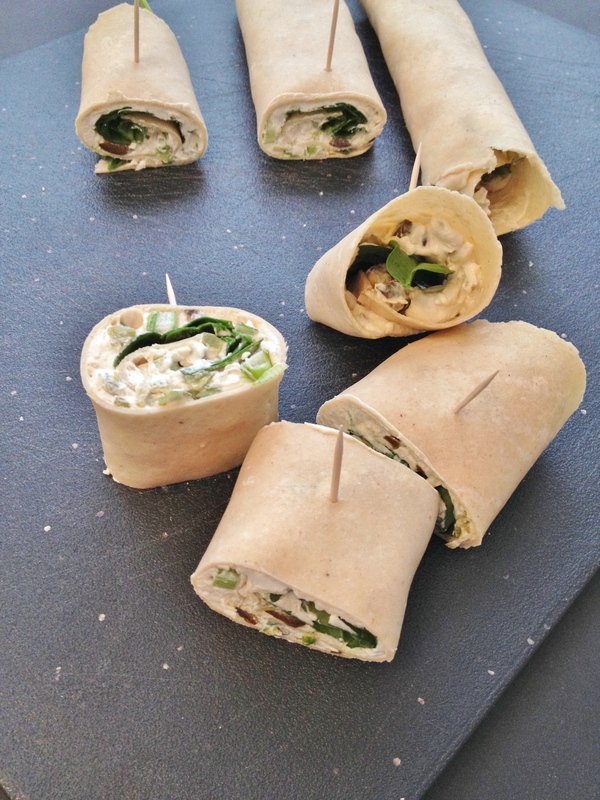 So in comes snack-happening heaven of different things, whether you are dipping chips into dips, chowing through some crackers, or hey – popping these wraps into your trap. Wow, I am all about the puns today. But it’s cause I am so excited! I love these wraps so much and haven’t had them in forever. I used to have a boss that would make them for every work potluck we had, and even at special requests (by me cause I am special), and I would eat them and eat them. This was back when I was vegetarian so it was okay. Now that I am trying to be vegan (daily struggle sometimes) I wanted to come up with the Santa Fe wrap that we could all enjoy. And have it be gluten-free too you say? 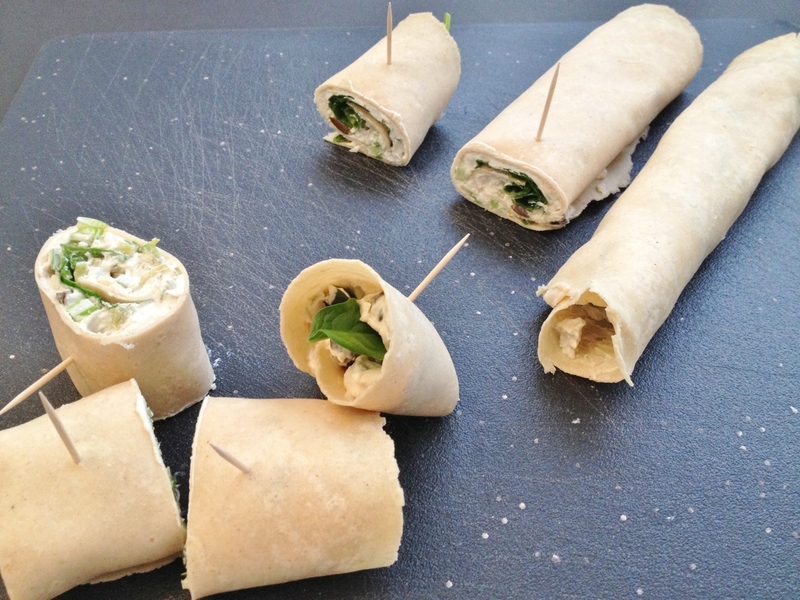 Yes – I was fortunate enough to receive a packet of BFree gluten-free multigrain flour tortillas and these wraps were the first thing that popped into my mind. Because who in the world can find actual GF tortillas in a store? Not me, and I have looked. I may not be gluten-free but I always think of my SIL, who is, when I cook. I want her to try everything I make, even though she rarely did when we lived close. These tortillas are super soft and pliable and perfect for a hummus veggie wrap too if you’re wanting more uses for them. 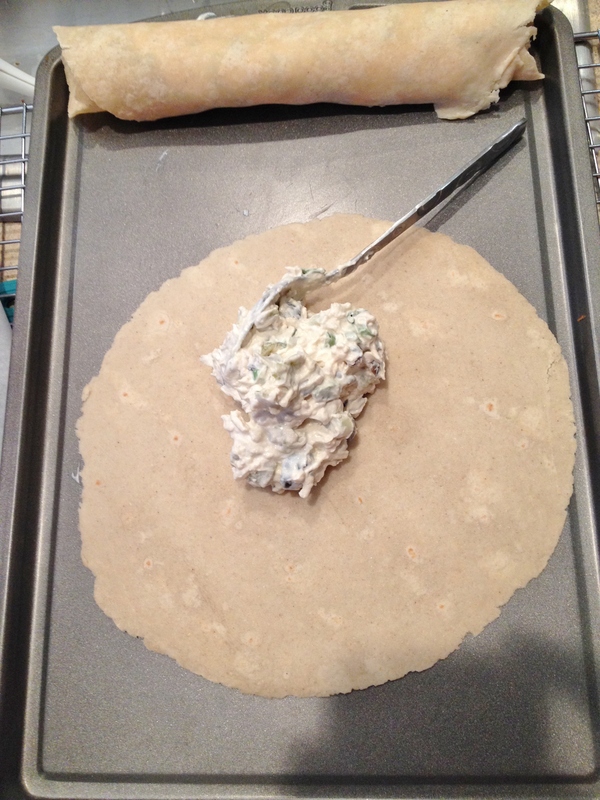 So for the innards you ask – Tofutti cream cheese and sour cream. O. M. G. I have found an amazing vegan cream cheese that actually tastes like dairy cream cheese! I like another brand of herby-chive cream cheese, but I have not found a brand of plain old cream cheese that I would want to lick the knife of (you know, to get the leftovers) but this one is it! And just so you know I did not receive anything from Tofutti except a free coupon I had won so this is not a sponsored post for them. I just plain wanted to eat the cream cheese out of the tub! The sour cream was good too, and paired with the green chilis, I could have stopped there and eaten it all. But no, I kept going with the onion and garlic powder, chopped black olives and green onions. 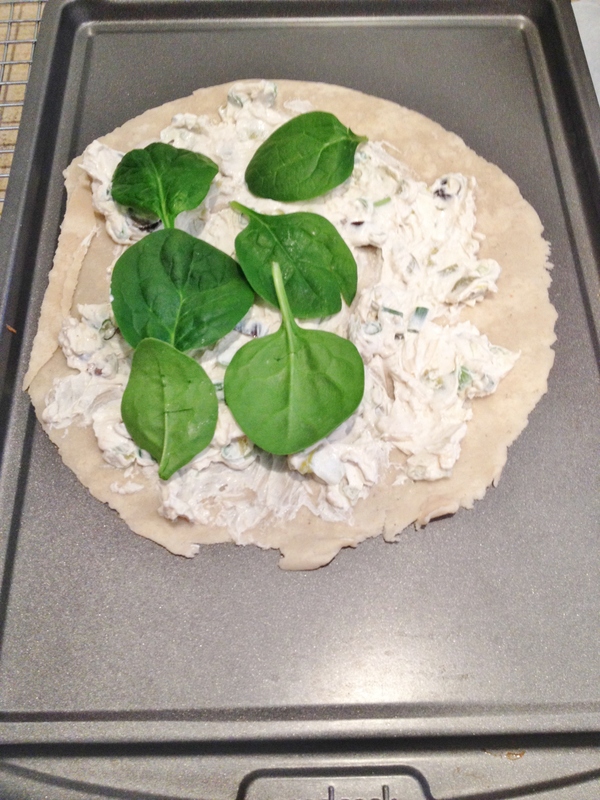 Dollop that on the tortilla and make it a little pretty and healthy with some fresh spinach and wrap it all up. Slice into small pieces and there is your perfect appetizer! 1. 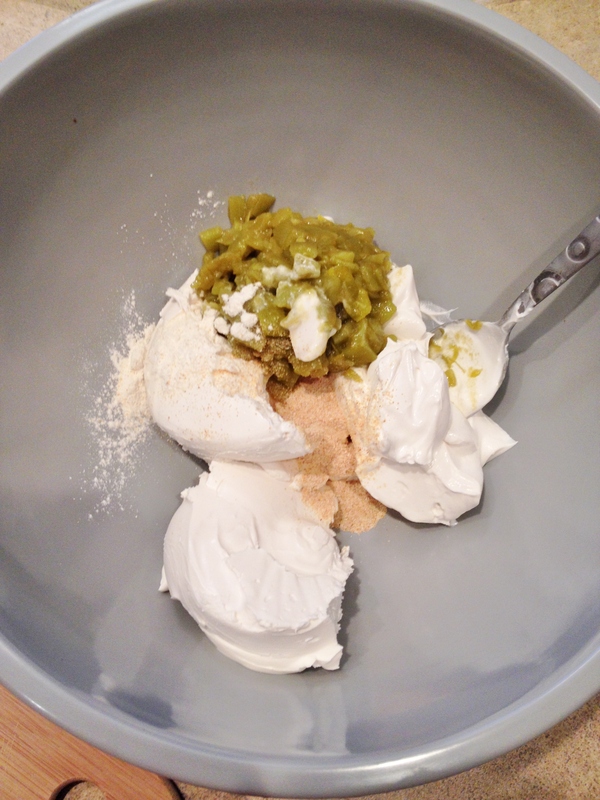 Mix cream cheese, sour cream, onion and garlic powder, and green chilies until well combined. 2. 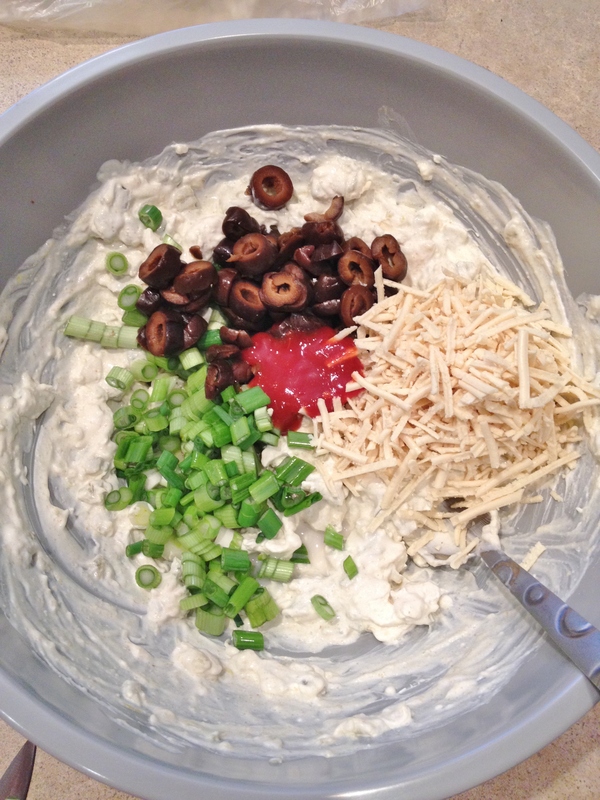 Add chopped green onions, drained sliced olives, mozz cheese, almond milk, and taco sauce and mix again. 3. Lay out tortillas and dollop on cheesy mixture and spread out. 4. Lay spinach leaves over half of the mix. 5. 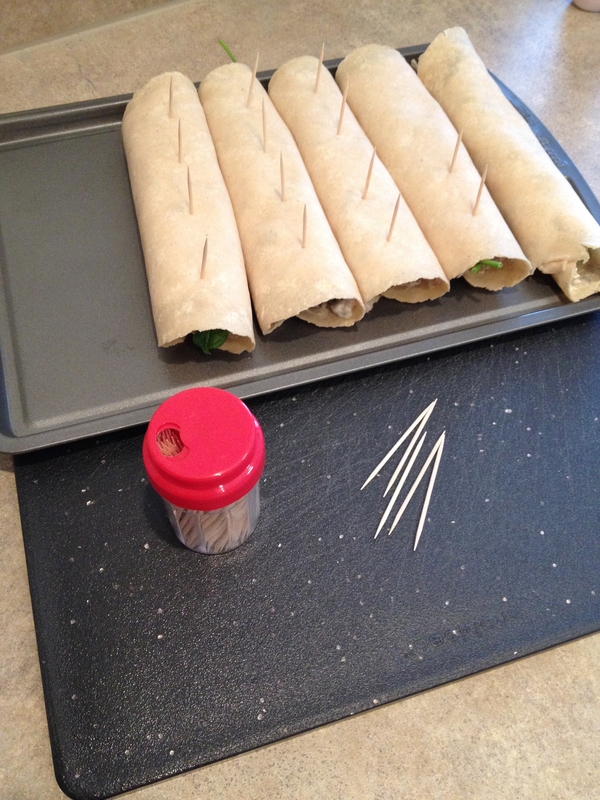 Carefully roll up the tortillas and lay open side down. 6. 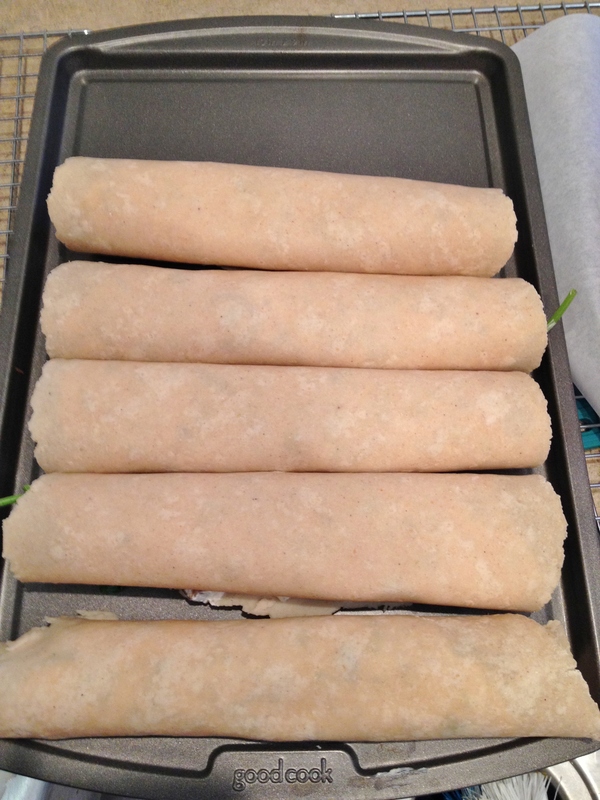 Roll tortillas until mixture is gone. 8. Stick toothpicks in and slice. 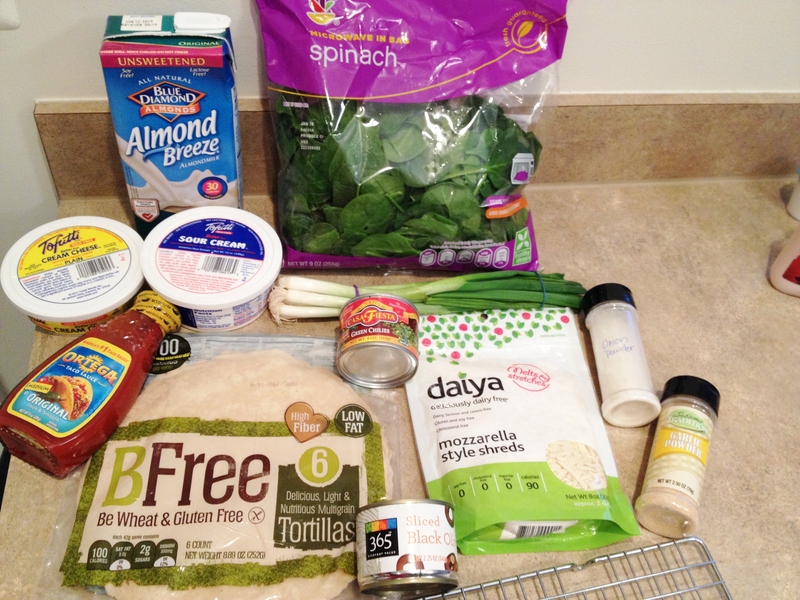 **I received free product from BFree Foods; all opinions are my own like always.